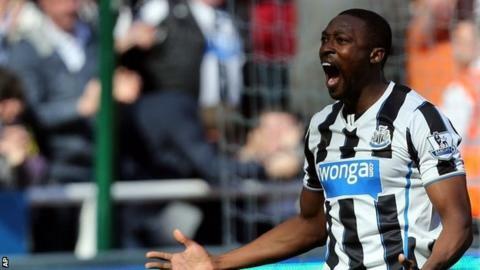 Striker Shola Ameobi has defended Newcastle manager Alan Pardew and says the club must strengthen the squad in the summer. The Magpies, hampered by a string of injuries, have lost their last five Premier League games and have won only four of 17 since Boxing Day. "We need quality players and we need a quality squad as well," the 32-year-old told BBC Newcastle. "That is something the club have to put right for next season." Newcastle, who lost 2-1 at home to Swansea on Saturday, are currently ninth in the Premier League and travel to Champions League-chasing Arsenal on Monday. Ameobi, who has been with the club for 14 years but is out of contract this summer, added: "We have limited resources at the moment and when we lose one or two key players it hurts the team badly. "That is what the manager has had to put up with, unfortunately."